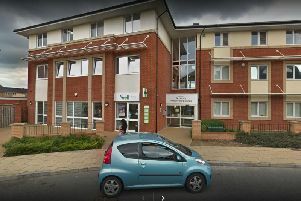 A planning inquiry is ongoing into plans to build more than 100 homes on land in Wellingborough. Hampton Brook Ltd submitted an outline planning application for land adjacent to 199, Northampton Road, to be developed for residential use. Hampton Brook Ltd chose to appeal the council’s decision and the planning inquiry has been taking place at Swanspool House. It started last Tuesday and will continue this week. The inquiry will see each side presenting its case verbally before an inpector and the witnesses for each side can be cross-examined by the opposing parties. Issues discussed on Thursday included how much affordable housing there is in Wellingborough and whether the council will meet its targets for this, the economic benefits of the proposed development and the potential loss of green space if the scheme went ahead. The closing submissions are due to be heard later this week and then the planning inspector will go away to consider the appeal and make her decision. Members of the public can attend the inquiry.